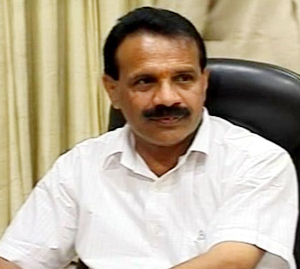 Mangaluru, June 8, 2015: Interacting with media at Badagamijar on June 8, Monday, Union minister for law and justice D V Sadananda Gowda stated that 1,741 obsolete and outdated laws as per a direction given by the Prime Minister, the union law ministry has till date purged 1,031 such pieces of legislation such as the Appropriation Act in the last one-year of the NDA government, the process of axing the rest is underway. Minister D V Sadananda Gowda said a major act aimed at controlling government litigations, the ministry has set up a national litigation policy. Inter-department disputes will now be subject matter of litigation only after all other avenues have been exhausted and the chief secretary in cases of states and cabinet secretary at the centre deems it a fit case for the law courts. As commercial disputes are on the rise, Gowda said the ministry is to set up commercial benches in high courts. In a bid to ensure that arbitration process in India gains credence, Gowda said stringent amendments to the Act which mandates that arbitration process is completed in a stipulated period. Even the fees of the arbitrators has been fixed and will depend on the case they are called up on to arbitrate. PM Modi has named a group of ministers who will look in to various issues related to reforming India’s labour laws too. In addition, laws have been tabled to ensure that there is no incentive for people to dabble in black money with stringent punishment earmarked for violators, he said adding that the government will not back down from taking necessary action against anyone who indulges in adulteration of food and ignores laws on food standards. Responding to a query he said that no ministry concerned has approached his ministry on the contentious issue of ban on maggi, the fast food snack, Gowda however said the ministries for health and family welfare and consumer affairs have already taken necessary steps to deal with the fall out of the issue at their level. The law ministry will take a call only after laboratory reports confirm that instant noodles have lead and MSG at high levels.